American Animal is a Heist movie with a clever panache of style. It can be a bit showy sporting a soundtrack with a Rock themed Spotify playlist. It certainly doesn’t suffer from being boring. This movie is one heck of ride, a fantastic yarn spun with veritable wit. The film is entertaining to say the least, even more so when the film starts with the title card “Based on a True Story”, the ‘Based on’ fades away leaving ‘A True Story’. Its a very clever statement when bookended with the closing scene of the film. The movie is very self-aware of its serving parts. Part doco and dramatic re-enactment storytelling, blended together, the actual real people are placed within the film, talking & pointing out events, and where their character is placed within the storyline. 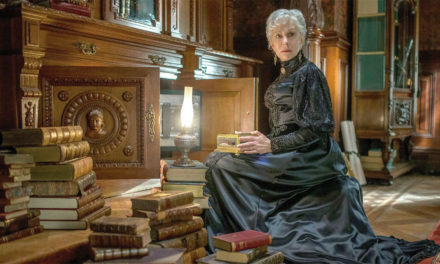 The premise is basically this: A bunch of four male University Students in Kentucky come up with a hair-brain idea to steal some rare books from the library that are worth about $12 million, they hatch up a plan, and away the film takes off on a crazy ‘heist’. By using interview footage of the actual real life people, interlaced with the narrative, it helps play with the differing points of view, and what possibly is the real truth. There is no denying they pulled off one of the most ballsy stick ’em ups in American history. Surprisingly we are given a very compassionate view on these criminals, i.e what was their drive, and what possibly could be going through their heads when in hindsight plays as one hell of a stupid heist? Like the film ‘Titanic’ you know where the film is heading, ultimately knowing this won’t end well, and I feel by disclosing this in no way impairs the way you view the film. From director Bart Layton who made the documentary ‘Imposter’ very popular with critics and audience. As with ‘Imposter’ he builds on using the theme of what we ‘see’, or ‘hear’ which are not necessarily real truth, but a creation of ‘a’ truth. 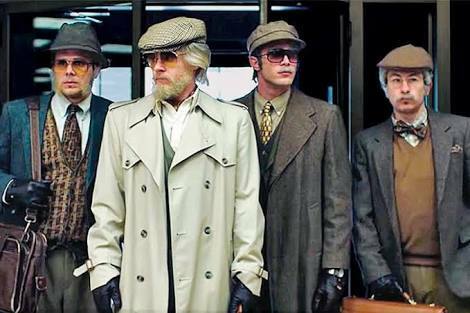 American Animals is a great entertaining watch, it’s clever funny and and thrilling, posing the question “Is it all True?” The ending still has one extra sting in its tail, which makes the story even more intriguing. 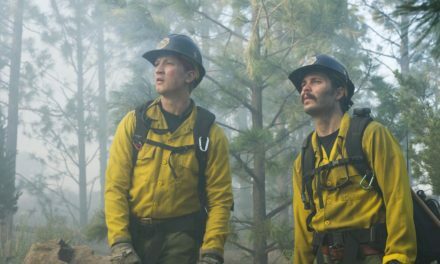 American Animal is unlike any heist film you would expect, and at times the film plays on those expected genre troupes. For example with teasing scenes similar to Oceans Eleven, and Tarantino’s ‘Reserviour Dogs’, I must admit those moments in the film can come across as too showy and bombastic on the senses. The cast is top notch, which actually relate to the real people to which they are portraying. It is a robbery film that has dramatic strength, it is a film portraying young men entering a world of adulthood and facing life’s questions “Is this all there is?” a search for some meaning in this world. I fully recommend this movie it is a gem. Believe me when i say “enjoy”, I’m definitely telling the truth.